Although I’ve had a good deal of formal training in piano performance, musicianship, theory, etc., like most Music Directors working in a nonprofessional setting I never received any formal training on how to do that. It turns out there’s a lot of non-obvious tasks in that job, and I wrote this book to pull them all together. The book focuses on the dual role of the modern MD or Associate Conductor: sometimes you’re leading the orchestra, sometimes you’re a rhythm instrument. And you have to work with the actors (some of whom may also lack formal musical/vocal training) to help them learn often challenging songs, while managing the rehearsal schedule, figuring out which orchestra instruments you can do without, and so on. Substantially all of the techniques are illustrated with examples from the musical theater literature. Below is the current Table of Contents. 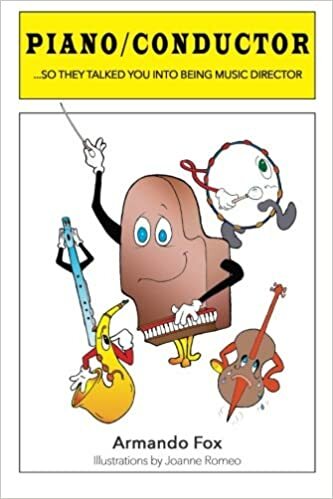 The book is available on Amazon in paperback (and soon Kindle) format, and it’s sprinkled with whimsical illustrations by drummer and talented graphic artist Joanne Romeo.